Lennar at Lake Ridge, an active adult community in Manchester NJ. Reserve at Lake Ridge is an active adult, over 55 community in the Whiting section of Manchester NJ. The community was finished by Lennar under the name Lennar at Lake Ridge. But the majority of the homes were built by another builder under the name Reserve of Lake Ridge. Since new construction is no longer available, you can usually find resales. The community is surrounded by woodlands, and has a secluded country feel that many enjoy. It’s convenient because of it’s proximity to Route 70 and the Garden State Parkway. In 2007, construction began at The Reserve of Lake Ridge. There are almost 230 homes, each with either two or three bedrooms. Additionally, the homes have a 2 car garage (and there is one model with a 3 car garage). Some models indeed have a third bedroom with a loft. Home sizes generally range between 1484 square feet to over 2600 square feet. The Reserve of Lake Ridge clubhouse is the social center of the community. It features sports areas, a ballroom, and a walking path. Additionally you’ll find various activities such as clubs, social gatherings, trips and more. When it gets warm relax in the outdoor pool. And you can participate in local activities such as fishing, boating, dining and more. 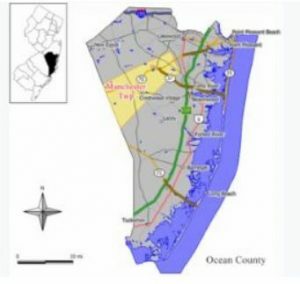 Ocean Ride provides bus transportation throughout Ocean County. The Reserve-A-Ride Program provides non-emergency medical transportation service to seniors. You’ll need an advance reservation, however a fee is charged. And Ocean Ride has 12 local bus routes to shopping, other adult communities and more.This is a free program, but many of the riders tip the driver. Call 732-616-6226 to see the homes in Lennar at Lake Ridge – either new construction or resales.